Use sand on icy concrete - DO NOT use de-icing chemicals containing chloride compounds including calcium chloride, magnesium chloride, sodium chloride (salt), and potassium chloride. Never use de-icing chemicals that contain either ammonium sulfate or ammonium nitrate. It is especially important to not use these salts the first winter after a concrete pour. In subsequent winters, use salt only if the concrete is protected with a siloxane sealer, and even then, use sparingly. Keep concrete free of ice and snow. Don't allow fertilizer to remain on concrete surfaces as ammonium nitrate is found in many fertilizers (rinse off). 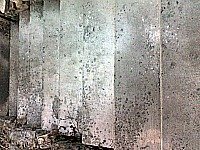 Avoid using acids to clean concrete. Use water and a light detergent. There are different commercial products available for specific stains. Wash driveways and other concrete surfaces whenever the weather allows to remove salts that drip off of vehicles. For most projects, a sealer should be applied after it's finished to help protect against staining, scaling or peeling.This needs to be repeated approximately every 2-5 years, depending upon wear. You will know this is needed when the concrete’s sheen disappears and the surface no longer repels water. Protect your concrete while it cures from animals, people, objects and vehicles. You can walk on it cautiously 24 hours after the pour. Driveways and aprons can't be driven on for at least 7 days as this is the minimum time concrete cures for. 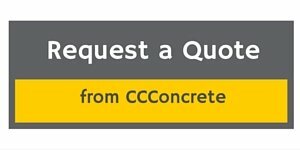 Click curing concrete to find out more about how to guide the curing process in temperatures above 85 degrees or below 50. 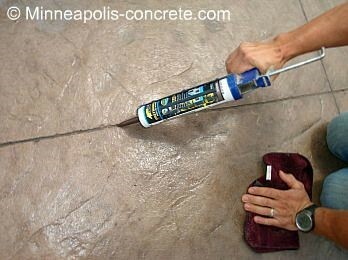 After your concrete is cured and sealed, it's a good idea to use a concrete joint sealant to caulk the control joints cut in the concrete. This will prevent water, dirt and ants from entering the cracks and eventually causing erosion. The contractor should have poured on properly graded ground and compacted the soil prior to the pour – thereby creating a more stable slab. Saw cuts or wet cuts/contraction joints should be placed to help the concrete to only crack along these pre-existing joints. This is especially important if you are in a climate that goes through freeze/thaw cycles. Rebar should have been used for exterior slabs and steps. This holds the concrete together as the ground moves throughout the seasons. For most projects, a cure and seal product should be applied after finishing the concrete to help protect against staining, scaling or peeling as it cures.